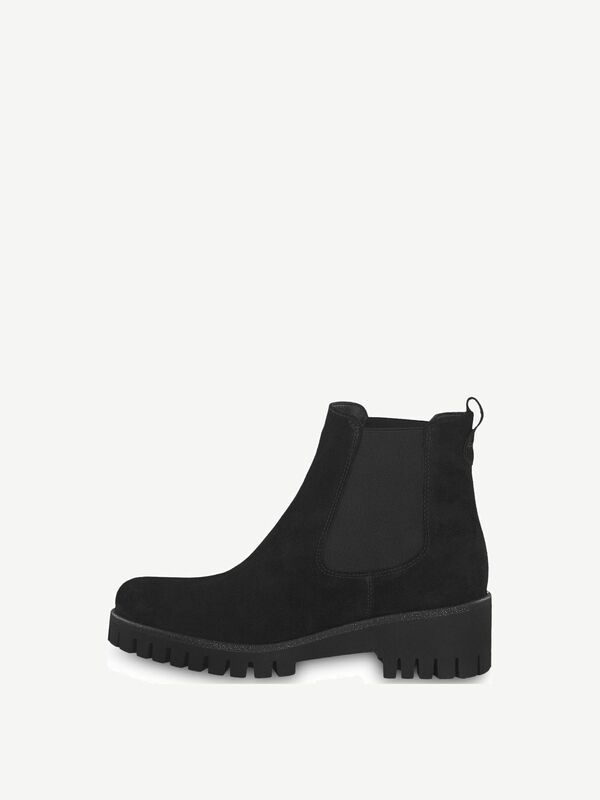 Vekic 1-1-25461-21: Buy Tamaris Chelsea boots online! These fashionable gusset boots by TAMARIS are suitable for various occasions. These fantastic women's leather boots are truly striking in visual terms. The TOUCH-IT Cushioning Technology gives your feet the comfort you need even on busy days. The functional stretch insert makes them easier to put on and take off, and also makes the fit better. During the day at work or at the university, while walking with your friends in the city or for the walks in the park: These gusset boots are real all-rounders and they are really usable.